My 3rd cousin 4x removed and wife of 2nd great grandfather. (Her headstone has her name as “Lovie”. Census records show “Lovey” as does her marriage record. She signed her father’s probate paper as “Lovy”.) I can only guess that the “G” is for her mother’s maiden name of “Gard or Guard” as was the custom. Unfortunately, I think this will be one of my shorter blogs because Lovie lived such a short, sad life. When Lovie G. Tillett was born on April 6, 1860, in North Carolina, her father, Willis Tillett, was 38, and her mother, Abigail Gard, was 28. Lovie was just one year old during the Civil War when the Burnside Expedition rolled into North Carolina and ravaged her town. Union troops led by General Ambrose Burnside fought a series of engagements along the North Carolina Coast in 1862. Her father, Willis, was a Lighthouse Assistant to the Keeper from 1870-1873 in Roanoke Marshes making $400 annually. 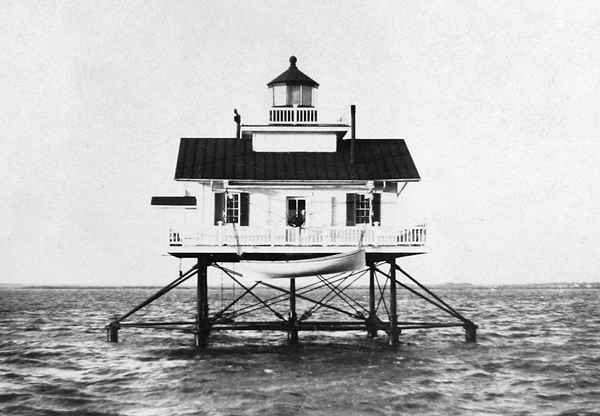 Roanoke Marshes Lighthouse was taken out of service by Confederates shortly after the outbreak of the Civil War, but the light was reactivated in 1863. By 1872, the marsh beneath the lighthouse had washed away, leaving the structure standing in ten feet of water. ……..The Lighthouse Board felt it would be cheaper to build a new lighthouse than to render the current one safe. In 1872, Lovie’s mother, Aby, died at age 40. Lovie was just 12 years old, her father was 50. Sadly, Aby’s own mother died when Aby was just 11. Three years later, when Lovie was 15, her father passed away. Willis did not leave a will, but John T. Wescott swore to the goods owned by Willis. What is interesting on these documents is not only that John T. is swearing to Willis’ “chattles, rights, and credits” on Feb. 14, 1877, because he died without leaving a last Will and Testament, but that W. D. Chaddic (Martha Chadwick’s father) is the probate judge. In Feb of 1877, the inventory of chattle was $475.35, but Washington DC sent $300, I assume from his last paycheck. By March 1, 1877, Willis’ estate was said to be worth $775.35. This would be $17,323.05 today! Four days after her father’s death, Lovie turned 16 years old, having no parents to celebrate her. Six months later she married John Thomas Wescott, her 3rd cousin on one side and first cousin 1x removed on the other side. A year later, their daughter Dora was born. And, sadly a year after that, Lovie died. 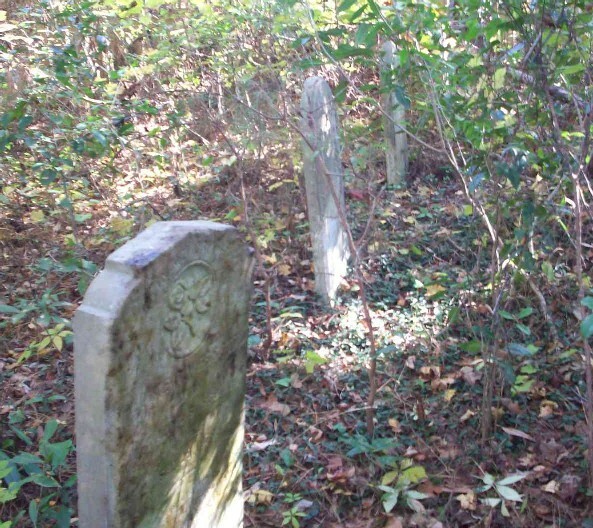 Their cemetery is in Manteo off of Hwy 64 on property now owned by and being preserved by the Culpepper family. They have a connection to the Etheridge and Tillett families. There was also a "M. B. Culpepper" as a witness to John and Martha's wedding. Sabra is not only John’s Aunt, but is also Lovie’s Half Aunt, her mother’s half sister. Wow, the intermarriages are mind boggling.